KATHMANDU, July 14: The government has missed the Election Commission (EC)'s deadline to formulate election laws related to provincial and central parliamentary elections, raising doubts over its commitment to conduct the remaining elections within January 21 2018, the constitutional deadline. EC's deadline is expiring on Saturday. Further, the government's delay in constituting the crucial Constituency Delineation Commission (CDC) has emboldened the doubts. 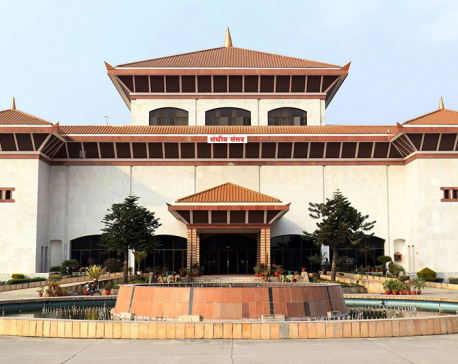 Key leaders of the major ruling parties are skeptical about conducting the remaining polls within the constitutional deadline after a section of leaders proposed to continue the 240 election constituencies under the First-Past-the-Post (FPTP) electoral system instead of revising them as stated in the constitution. The new constitution has a provision to reduce the FPTP electoral constituencies to 165 from the existing 240 for central parliamentary elections and 330 for provincial assembly. The EC has urged the government to complete the task of constituency delineation by July 30. Officials say constituency delineation is a tough task. Existing electoral constituencies were created before 2008's Constituent Assembly elections. A commission led by Justice Tahir Ali Ansari was crated ahead of 2013's elections but it failed to produce an amicable report despite spending five months and parties agreed to accept 240 electoral constituencies. Some leaders of the ruling Nepali Congress, mainly Prime Minister Sher Bahadur Deuba and leader Bimalendra Nidhi, have proposed to continue the 240 electoral constituencies for the upcoming parliamentary elections as well. Agitating Rastriya Janata Party Nepal leader Mahantha Thakur also seconded the idea at a meeting earlier this week, said a source. They have also prescribed constitution amendment instead of forming the commission. This has sparked criticism within and outside the party, raising the election body's concerns in recent days. 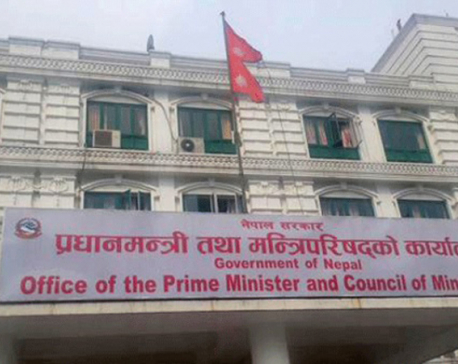 "We had urged the prime minister to clear the legal hurdles and constitute the CDC soon after he was elected the PM," said Election Commissioner Ishwari Paudel, adding, "We are very much concerned over the delay. This may affect concluding all elections as scheduled." NC senior leader Ram Chandra Paudel also expressed serious concerns over the delay. "Increasing the number of electoral constituencies is not a good idea. We should form the CDC without any delay instead of debating over keeping 240 constituencies intact for federal parliament," said Paudel saying that a jumbo parliament will be less effective. Like Poudel another NC leader Ram Saran Mahat also warned not to make a mistake by increasing the constituencies in the new constitution. "NC has not held any discussion or taken any decision to increase the electoral constituencies to 240. Let's not make a mistake," Mahat tweeted. CPN (Maoist Center) senior leader Narayan Kaji Shrestha also opposed the proposal and demanded the formation of electoral constituency delineation commission at the earliest. "I want to make clear, 240 constituencies will not be acceptable and prolonging the tenure of the existing parliament cannot even be imagined," Shrestha tweeted. He also dragged the attention of the leaders to the fast-approaching election deadline. Chairman of the Local Level Restructuring Commission, Balananda Paudel said it would take at least 45 days to finalize constituency delineation, redrawing the existing boundaries. "We should delineate 165 constituencies for federal parliament at first and then 330 for provincial assemblies," said Paudel.